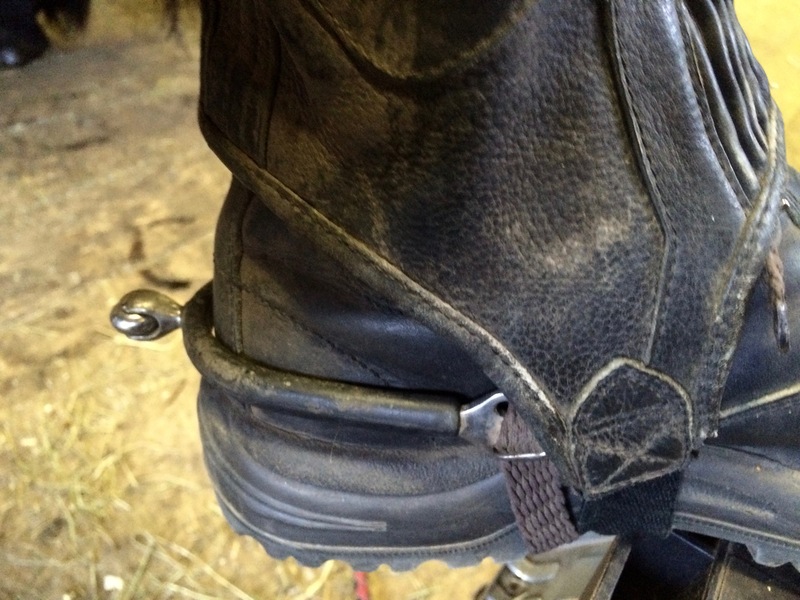 Spurs and Half Chaps: Under or Over? This half chap/boot combo looks a lot like a tall boot. In this case, the spur fits pretty neatly over the chaps. Have you ever done something wrong for years and then realized there was an easier way? I wear half chaps and paddock boots most of the time when I ride — they are more comfortable, cooler and less expensive than my tall boots. Until I started riding Zelda, I never thought much about where the spurs go, because I didn’t ride with them. Freedom does not need spurs. I didn’t even own any spurs. So I’d never thought about whether you should put your spurs over your half chaps or under them. None of the half chaps are shown with spurs. These are my favorite Zelda spurs — Stubben Soft Touch. They are just “enough” to get her attention. remind her who is in charge. 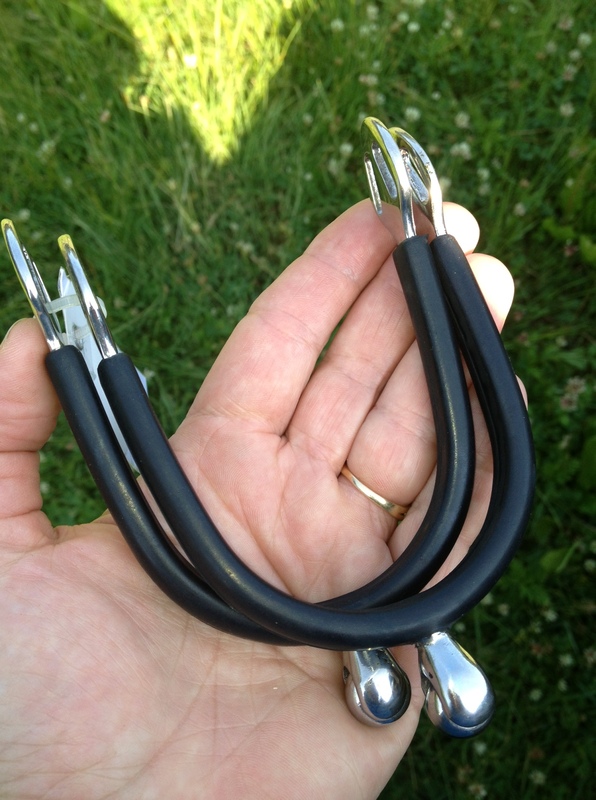 I don’t wear large spurs, just the Stubben soft touch spurs. They tip the balance of power. So for the past three years, I’ve been putting on my boots, zipping up my half chaps and then forcing they spurs over the chaps. Then I read a post online and discovered that most people put their spurs on UNDER their half chaps. Light bulbs went off. I felt dumb. The spurs fit much better, especially as I like to ride in Blundstone boots and they are a bit thicker than my tall boots. So, what things have you done for years and then discovered a better way of doing them? My spurs fit much better under my half chaps. Imagine that! You don’t like your tall boots? you must be who Ariat caters too. 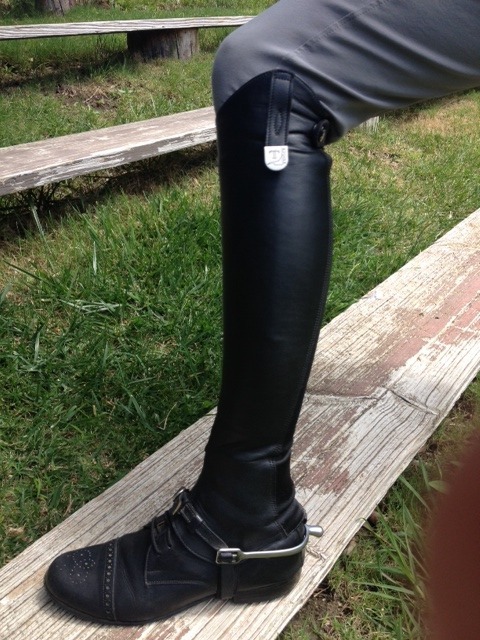 I love my long boots and can’t imagine not wearing them when I ride. Without them I feel naked! I’ve probably never had a pair of tall boots that fit me well enough. Right now I’ve got tendonistis in my left ankle and need to wear only shoes that offer arch support. I’ve had a hard time finding inserts that work in boots. I’ve got a pair right now that work in my Blundstones, maybe I should try them in my tall boots. Thank-you I was confused under or over, under would be safer . I wanted to be correct. Thanks.